PB, 7 1/2 x 9 1/4, 480 pp., index, 1994. 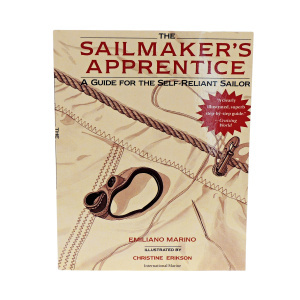 There is little about desgning, making, repairing or improving sails that this book doesn't cover. More than a comprehensive apprenticeship, it is also a wonderfully illustrated examination of the world's rig and sail types, both contemporary and historical. 513 illustrations, lively, thoughtful text.